When I initially began watching HBO's adaptation of A Game of Thrones, I was very interested, but not blown away. That feeling fell to the wayside with "The Kingsroad" (and, as I remarked in my review of "Winter is Coming," much of what I had issues with seemed to dim upon a second viewing). lines cannot. 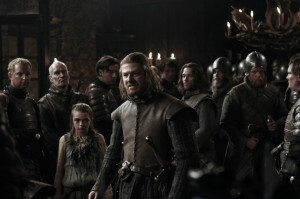 Emilia Clarke, who I have already praised in my review of episode one, is once again superb, and Sean Bean, though less present here than in "Winter is Coming," is strong as ever. Kit Harrington (Jon Snow) is equally as praiseworthy in "The Kingsroad," fast becoming one of my favorite actors in the series, and Peter Dinklage fulfills his role as Tyrion Lannister as if it were always meant for him -- Tyrion remains one of my favorite characters in the TV adaptation. All this is perhaps helped by the fact that episode two is about deepening our understanding of who these characters are. Catelyn Stark is more than just a wife and mother; Jon Snow is a boy tormented by his half-blood birth; Eddard Stark is apprehensive about his part in the management of the Kingdom and not the man he once was when he and King Baratheon forged the kingdom; and Daenerys is a woman coming into her womanhood in a society she barely understands. These attempts to deepen the audience's understanding of the show's characters is well received. Most of these characters are people we expect to stay with as the series progresses (and when the next book is adapted; whether all this turns out to be true is up to speculation, I suppose, as I haven't read A Clash of Kings yet). Personally, I appreciate fantasy stories which delve into the characters rather than relying solely on the visual spectacle of fantasy. 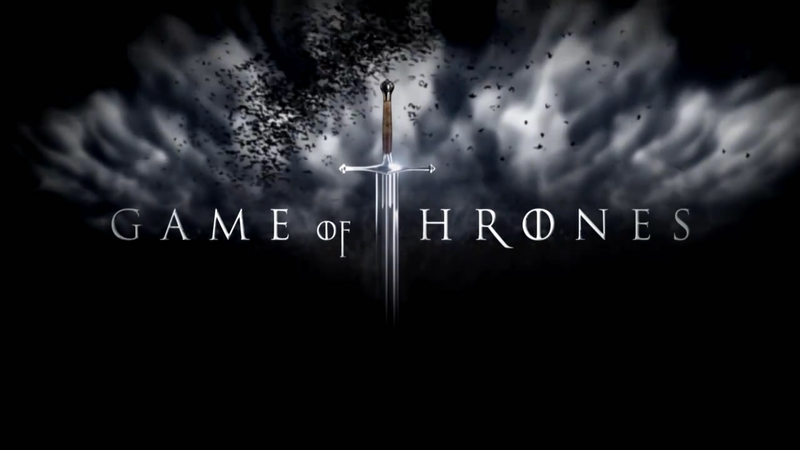 A Game of Thrones seems well suited to the medium. Unlike "Winter is Coming," the pacing in "The Kingsroad" is fierce and fluid. This is despite the fact that the second episode has now split to four different viewpoints in four separate locations (Jon and Tyrion at the Wall; Catelyn and her sons in Winterfell; Eddard, his daughters, and the King on their way to King's Landing; and Daenerys across the narrow sea -- some of these were already present in "Winter is Coming"). The writing is almost seamless, with a perfect progression from start to finish and plenty of tension. I would say that "The Kingsroad" is the best episode of the series, except that I haven't seen the entire series yet (this review comes out the week prior to the release of the sixth episode). Regardless, if you aren't hooked by "Winter is Coming," then "The Kingsroad" should do the trick. Even upon re-watching, the episode remains strong. If I have to criticize the episode, however, then I'll have to point to the visuals, which sometimes appear somewhat lackluster when CG is involved. 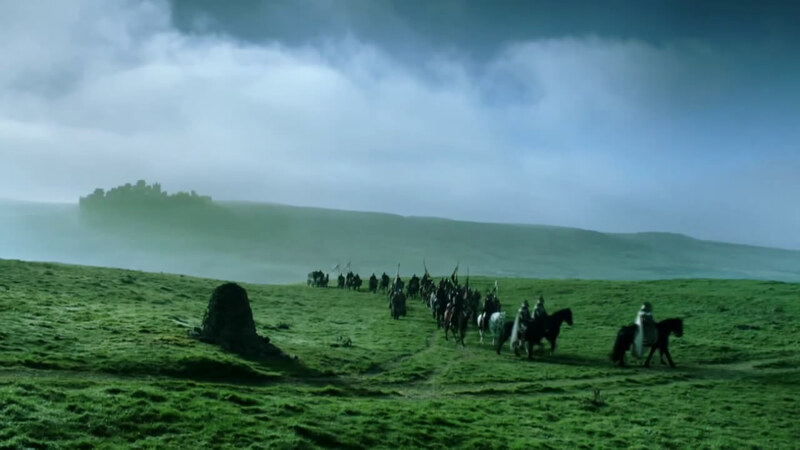 The costumes and locations are decent enough, though sparsely built as in "Winter is Coming," but there are moments where we see cities in the distance which are clearly drawn onto an existing landscape. I understand that A Game of Thrones is a television show, and, as such, doesn't have quite the budget of something like Avatar. Perhaps for this reason anyone can ignore the average CG found in the series. Since it's used quite sparingly anyway, I don't see it as a major issue, but it is noticeable. Unlike other cable networks (like Syfy), HBO isn't going overboard with its use of CG. They've focused on the characters, much as Martin has done in his novel. I think that much can be appreciated even if the CG isn't the greatest quality. But at this point I'm nitpicking rather than sending anything resembling legitimate criticism at A Game of Thrones. "The Kingsroad" is simply a stunning episode. I kept wondering what would happen next, who was going to hurt who, and whether characters I thought would die were going to live. "The Kingsroad" is pretty much what turned me into a permanent viewer of the show. I'll usually give a series three episodes to hook me. 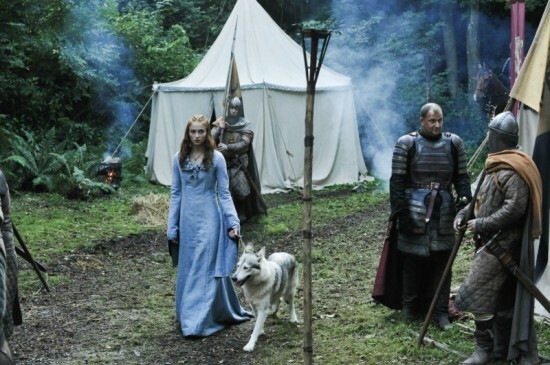 A Game of Thrones technically did it with the first episode, but the second sealed the deal. And if that isn't high praise for a show, I don't know what is. Stay tuned for my review of episode three! Coming...tomorrow! P.S. : If it hasn't already become clear, I am avoiding spoiling the series by providing a plot synopsis of each episode. I would hate to read an episode-by-episode review and have everything spelled out for me. If you've read the book, you already know the story being shown; but if you haven't, then a plot synopsis could ruin everything. I will do no such thing and will keep my reviews focused on my general impressions of the episodes, with plot elements brought into the discussion only when I feel they are relevant. Hmm, I think for me, the second episode is tied with the fourth for second place, while the fifth is my favorite so far. But these three are all very close to one another, and it wasn't until the fifth episode that I realized I could never compare the TV series with the books. I remember my overall criticism of this episode being that it was too depressing, and that doesn't even make sense to me now. It did leave me feeling a bit depressed, but I was more concerned about whether other people would stop watching. I mean, yeah, I could care about what this other person thinks, or I could care about what I think. So let things be bleak. Maybe it'll hit closer to home. I think the whole series is depressing. There isn't much in the way of comic relief. Tyrion is amazing, but it's very clear in the series that his humor is for himself more than for the other characters or the story. He says what he says because it's his way of dealing with the world around him (one which even on its best day looks down on him because of his stature).